What have the French said about Aberystwyth over the centuries? Here are a few highlights from my lecture ‘Views of mid-Wales by artists, exiles and royals from Europe’, for the Ceredigion History Society on 7 October 2017. The women certainly are uncommonly good-looking. La mer, sur la gauche, nous a suivis tout le jour, unie comme une glace et marquée de longues rayures d’un vert vif et de violet foncé, alternativement; les nuages y étaient réfléchis avec la plus grande exactitude. Des hauteurs, nous nous sommes plusieurs fois imaginés que nous apercevions la côte d’Irlande. We have been nearly all day in view of the sea, on our left hand, and fancied we could see Ireland: the clouds were exactly reflected by the glassy surface of the water, curiously streaked with the brightest green and dark purple. But disappointingly he says nothing of Aberystwth when he passes through on his way to Dolgellau, preferring to save his ink for the sublime mountains of north Wales. Adolphe Thiébault (1797-c.1875), an artist from a Franco-British family visited north Wales in September 1827 to paint landscapes, mainly waterfalls. Because of poor weather he decided to return to England through Aberystwyth, where he stayed at the Gogerddan Arms, and drew Castle House. He says very little about the town of Aberystwyth, and rather more about the Gogerddan family: Pryse Pryse and family were not in town by the time Adolphe Thiébault arrived, but his staff look after him, and he is impressed by the stables and foxhounds, though he finds the house rather small for such a rich man. On his journey out through the mountains of Pumlumon he stops for lunch at Devil’s Bridge, presumably not long enough to draw a picture, which is a shame for us. He describes the rivers that rise on Pumlumon, then leaves and dines at Rhayader. The final part of his journey out of mid Wales towards Kington, Worcester and Oxford, is terrifying on account of awful roads and a drunken coach driver. As they cross the river in Kington, he says, there is a sharp turn to the right, and it is a miracle that they weren’t thrown into the water. He reports that the travellers were so relieved not to be dead that they forgot to complain and gave the man his tip anyway! Aberystwith, 5000 habitants, la ville la plus jolie et la plus gaie du cardiganshire fashionable, très fréquentée, à cause de ses Bains de mer. Ruines de la vieille forteresse, 1. Craig Lais et l’église paroissiale. Le pont du Rhaidol, confluent du Rheidol et de l’Ystwith dans l’avant port [ ? ], Vue prise de la jetée du sud, 19-20 August 1841. Aberystwyth, 5000 inhabitants, the prettiest and gayest town in fashionable Cardiganshire, very busy on account of its sea bathing. Old castle ruins, 1. Craig Glais and the parish church. The Bridge over the river Rheidol, the confluence of the Rheidol and the Ystwyth at the harbour. View taken from the south jetty, 19-20 August 1841. Partie de la terrasse de la marine et de la plage des bains. Le Craig (promontoire) Lays et les ardoisières. Vue prise des ruines de la citadelle. Part of the Marine Terrace and bathing beach. Craig (promontory) Glais and the slate quarries. View taken from the castle. La baie de Cardigan, vue de la route d’Aberystwyth à Abereyron. 1. Pointe du Caernarvonshire. 2. Cader Idris. 3. Aberystwith et le Craig Lays. 4. Village de Llanon. 5. Plinlymmon et village de Llanrhystidd. 20 août 1841. Cardigan Bay, view of the road from Aberystwyth to Aberaeron. 1. Point of Caernarvonshire. 2. Cader Idris. 3. Aberystwyth and Craig Glais. 4. Village of Llan-non. 5. Pumlumon and the village of Llanrhystud. Petit port dans la baie de Cardigan. 1. Bourg de New Key. 2. Pointe du Pembrokshire. Vue prise de Llanon. 20 août 1841. Little port in Cardigan Bay. 1. Little town of New Quay. 2. Point of Pembrokeshire. View taken from Llan-non. 20 August 1841. Alfred Erny (b. 1838) has given us a very detailed account of his travels in Wales in: ‘Voyage dans le pays de Galles’ (1860). Like Louis Simond he describes the same coast road northwards from Aberaeron to Aberystwyth, evoking fields of wheat alongside the shore, covered in pebbles, whose dark hues contrast with the golden colour of the crop. Ahead stand the mountains of Merionethshire, and a backward look takes in the very tip of Cardigan bay. On to Aberystwyth, described as the Dieppe of Wales, where he says he stopped for a while (‘un court séjour’). Here, he says, a great number of bathers come for the summer season, making the town noisy and lively. He describes the town’s seafront, from Constitution Hill, which he specifies is known as ‘Craiglais’, and which boasts views of the coastline from Cardigan to Caernarfon, to the ruined castle, situated on a storm-beaten promontory. Tradition has it that the great Cadwallader resided here, he says, and all that is left of it is one tower and a few bits of wall. Les falaises d’ardoise elles-mêmes ont de la peine à soutenir un pareil choc, et le tout est menacé d’être un jour ou l’autre balayé par la mer. Au nord du château s’étend, à quelques centaines de mètres, une grève d’un niveau assez égal, mais à cette grève succède une longue chaîne de rochers, dans lesquels l’action impétueuse de la mer a creusé des grottes et des cavernes. Au milieu des ruines, il est une promenade qui, par son élévation, domine toute la ligne des côtes formant la baie de Cardigan. North of the castle a mostly level shore stretches for a few hundred metres, but beyond this lies a long chain of rocks, into which the relentless action of the sea has carved caves and holes. Among these ruins there is a promenade that, thanks to its height, dominates the whole coastline of Cardigan bay. Aberystwith s’élève à peu près au centre de cette baie, et de la ville elle-même on peut suivre de l’œil la côte de Merioneth se prolongeant vers la mer par le long promontoire montagneux de Caernarvon, que termine l’île de Bardsey. Cette mer elle-même, qui se développe dans toute son étendue et toute sa majesté, chargée de vaisseaux à voiles, de bateaux à vapeur, de barques de pêche, offre un panorama grandiose et varié. Aberystwyth stands more or less at the centre of this bay, and from the town itself the eye can follow the coast of Merionethshire stretching out into the sea the mountainous promontory of Caernarfonshire with Bardsey island at its tip. The sea itself, which shows itself in all its scope and majesty, full of sailing boats, steamboats and fishing boats, offers a grand and varied panorama. and describes options for accommodation (it is plentiful) and bathing (bathers are numerous during the summer). The best places to stay (literally he says furnished accommodation) are on the ‘Terrasse’, opposite the bathing machines and heated sea-water baths. All, this has made Aberystwyth a kind of ‘Brighton’. La grève est célèbre pour les cailloux précieux que l’on y rencontre, cornélienne, onyx, etc. Les baigneurs et surtout les nageurs feront pourtant bien de prendre leurs précautions. Il est imprudent de s’avancer trop loin dans les eaux, car la marée accourt quelquefois avec une violence soudaine et peut donner lieu à de graves accidents. But bathers and swimmers must be prudent as the currents are strong. Precious stones such as onyx are to be found on the beach, he says. Le caractère particulier d’Aberystwith est qu’elle réunit tous les avantages et les agréments d’une ville de bains, sans le bruit, l’éclat et les plaisirs fastueux qui troublent trop souvent ces sortes d’endroits. Les marchés et les boutiques sont bien approvisionnés en vue des visiteurs; les hôtels jouissent d’une certaine célébrité à cause de leur aménagement et de leurs prix modérés; les logements garnis sont en rapport avec tous les rangs et toutes les bourses. un des plus beaux point de vue que l’on puisse imaginer. and is far from convinced that it is worth stopping at Aberystwyth at all. Devil’s Bridge is also dismissed, despite being recommended by guidebooks, and the tourist is advised by Huet to push on to Dolgellau as the 12 miles to Devil’s Bridge are an ‘ordinary journey’. Better go to Borth, he says, as ‘La route est très pittoresque’ [the journey there is very picturesque], and it is a ‘jolie résidence de bains’ [pretty bathing place]. This research was funded by the AHRC through the ‘European Travellers to Wales: 1750-2010’ project, full details here. You can find out more about the travellers mentioned here by searching the project database. Rhwng Aberystwyth a’r Borth. Llun gan Elenor Nicholas. Mae llygaid Aberystwyth a Phrydain gyfan wedi bod ar Ewrop yn fwy nag erioed ers refferendwm Mehefin 2016. Beth tybed yw barn Ewropeaid amdanom ni yma yn Aberystwyth? Dros ddwy ganrif yn ôl teithiodd Louis Simond trwy Gymru gan dalu sylw manwl at y bobl a’r tirlun ar y ffordd rhwng Aberaeron ac Aberystwyth ar 20 Gorffennaf 1810. Dyma bobl hoffus, meddai yn ei daithlyfr, sy’n nodio’n gwrtais wrth weld y teithwyr yn mynd heibio, ac yn fwy na hynny maent yn bertach na’r Saeson. ‘Jolies personnes’ [pobl bert] yw’r bobl, ac mae’n ofalus i bwysleisio nad yn Lloegr y mae, ond yn ‘pays de Galles’ sydd yn lle gwahanol. Erbyn oes y trên stêm tyfodd poblogrwydd y taithlyfr ymarferol yn llawn tips i dwristiaid, ac un o’r rhai cynharaf o’r Cyfandir i fanteisio ar y rhwydwaith haearn newydd ac sy’n sôn am Aberystwyth yw eiddo Alphonse Esquiros, Itinéraire descriptif et historique de la Grande-Bretagne et de l’Irlande (1865). Ers mis Mai 1864 roedd y rheilffordd a arferai stopio yn y Borth yn mynd yr holl ffordd i Aberystwyth, cyhoedda i ddarpar dwristiaid Ffrangeg eu hiaith. Ond well iddyn nhw ddod yma ar hast oherwydd ofna Esquiros y bydd cynddaredd y tonnau yn chwipio’r castell a’r dref i ganol y môr: ‘Bydd hi’n anodd i’r clogwyni llechi eu hunain wrthsefyll, a’r môr yn bygwth sgubo’r cwbl ymaith ryw ddiwrnod’. Ceisio cael deupen llinyn ynghyd roedd Esquiros wrth ysgrifennu, gan iddo orfod gadael Ffrainc yn sgîl chwyldro 1848, ac mae’n bosib ei fod yn ‘benthyg’ o daith lyfrau Saesneg y cyfnod. Ond mae ei lyfr yn rhoi syniad inni beth allai Ffrancwr o 1865 wybod am Aberystwyth, a cheir digon o annogaeth iddynt ymweld: golygfeydd panoramig o Fae Ceredigion yn llawn cychod stêm, hwylio a physgota, digonedd o lety, a’r rhai gorau i’w cael gyferbyn â’r cabanau bach ymdrochi a’r baddonau dŵr môr wedi ei wresogi. Un a ddefnyddiodd y taithlyfr, ac a’i argymhellodd i eraill, oedd Albert Huet, awdur Un tour au pays de Galles [Tro yng Nghymru] (1877). Mae’n llai brwd na Simond am y ffordd tuag Aberystwyth, gan gwyno ei bod ‘braidd yn ddiflas, yng nghanol caeau’. Ac wedi cyrraedd yno mae’n annog unrhyw ymwelydd i osgoi’r trip poblogaidd i Bontarfynach (mae’n ‘daith annodweddiadol’), ac yn wir i osgoi oedi yn Aber yn gyfangwbl. Gwell fyddai anelu am y Borth, sy’n bertach o’r hanner! I ddysgu rhagor am y teithwyr hyn, ewch i wefan prosiect ‘Teithwyr Ewropeaidd i Gymru’. Ymateb personol a geir yma i Pen and Plough, a lansiwyd yn Siop y Pethe, Aberystwyth ar 30 Tachwedd 2016. Mae’r rheiny ohonoch chi sy’n fy adnabod i yn fy nghysylltu i, o bosib, â chorff gwahanol iawn o farddoniaeth i’r un a gyflwynir yma mor ddeheuig gan Diarmuid. Barddoniaeth a grëwyd yn negawdau olaf y bedwaredd ganrif ar bymtheg yn beth oedd, ar y pryd, yn brifddinas ddiwylliannol y byd – sef Paris. Nid yn unig roedd beirdd, artistiaid a cherddorion yn tyrru i Baris o bob cwr o Ewrop, ac yn wir o’r byd, ond yn y cyfnod hwn roedd y ddinas wedi dod yn ddeunydd crai i farddoniaeth. O waith Charles Baudelaire – Les Fleurs du Mal [Blodau’r Drwg], casgliad o gerddi a gyhoeddwyd ac a gondemniwyd yn 1857 – ymlaen, daeth natur a’r bywyd gwledig yn thema anodd mewn barddoniaeth yn nhraddodiadau ieithoedd mwyafrifol Ewrop. Caiff natur fel thema ei gwrthod am nad yw’n adlewyrchu profiad dinesig y mwyafrif, neu o leiaf daw’n ddewis cymhleth mewn barddoniaeth, sy’n cynnig delweddaeth sydd yn gofyn am gael ei gwyrdroi neu ei thanseilio. Mae byd o wahaniaeth, felly, rhwng y farddonhiaeth y treuliais i flynyddoedd yn ei chwmni – ym Mharis ac yn Rhydychen – a barddoniaeth gynhenid Ceredigion. Felly beth all rhywun fel fi ddweud wrthoch chi am y farddoniaeth hon? Y rheswm pam dwi yma heno yw bod llyfr Diarmuid wedi bod yn agoriad llygad imi – ac rwyf am ei argymell i chithau hefyd. Doedd gen i ddim syniad fod Diarmuid yn gweithio ar y llyfr hwn, ac felly hap a damwain oedd ei weld ar y silff, ond gwyddwn yn syth bod rhaid imi ei brynu. Ac wedyn, yn hytrach nag aros ar y pentwr o lyfrau ‘sydd angen eu darllen’, llyfrau gwaith, cefndirol, difyr ond beichus hefyd sydd gen i ar y gweill, fe ddarllenais y llyfr annisgwyl hwn yn syth, o glawr i glawr, gan synnu fy hun. Doeddwn i ddim wir wedi sylweddoli bod gen i ddiddordeb arbennig yn y beirdd hyn. Wrth gwrs, roeddwn i’n ymwybodol iawn ohonyn nhw, a’u barddoniaeth, ond fel rhyw fath o gefnlen, rhywbeth y cymerwn yn ganiataol efallai, yn y cyfnod cyn imi adael Ceredigion yn 1990. Doedd gen i ddim o’r ddealltwriaeth fanwl o’r traddodiad sydd mor amlwg yn llyfr Diarmuid, na’r drosolwg sydd yr un mor drawiadol yn y gyfrol, ond roedd gen i ddarnau o gerddi ar y cof: darnau a ddysgwyd at eisteddfodau, neu gyngerddau, fel ‘Rhoshelyg’ B.T. Hopkins, darnau a astidiwyd yn yr ysgol, neu bytiau o Dic Jones yr oeddwn wedi’u clywed. Ac wrth gwrs roedd y gynghanedd yn rhywbeth cyfarwydd: rhywbeth a ddysgwyd inni yn yr ysgol gynradd, a bûm i’n ffodus i fod yn aelod o ddosbarth cerdd dafod Roy Stephens yng Nghapel Seion. I mi roedd darllen y llyfr hwn yn fodd i gyfannu cylch. Mae Diarmuid yn y llyfr yn ddeuol; mae wedi ei wreiddio yng Ngheredigion ac yn deall y traddodiad o’r tu fewn fel petai, ond cyffro’r llyfr i mi yw gallu Diarmuid hefyd i gamu nôl yn reit bell a gweld y traddodiad barddol arbennig hwn o’r tu allan. Chwa o awyr iach yw’r olwg gymharol Ewropeaidd a gawn ganddo yma. Rydyn ni’r Cymry yn treulio llawer gormod o amser yn cymharu’n hunain gyda’n cymydog mawr, agosaf. Mae gweld ein hunain o berspectif Ewropeaidd yn gwneud mwy o synnwyr, ac yn y llyfr mae’r cymhariaethau gyda barddoniaeth o Iwerddon, a chyd-destun Ffrainc a Llydaw yn taflu golau newydd ar draddodiad Ceredigion. A geiriau sy’n allweddol yma. Roedd Mallarmé ac eraill o’r cyfnod wedi mynd â chyfyngiadau ffurfiol barddoniaeth, h.y. odl, rhythm, adeiladwaith, i eithafion. Rhywbeth sy’n dod yn naturiol i’r beirdd Cymraeg hyn. Mae’n golygu mai’r geiriau sydd bwysicaf; nid yw eu hystyr yn ddigon, oherwydd rhaid pwyso a mesur bob gair, a chânt eu dewis ar sail eu sain, eu heffaith ar y glust, eu cerddoriaeth, eu cynodiadau neu eu cof, neu efallai eu hetymoleg – nid ar sail eu hystyr yn unig. Os teithiais i yn bell iawn o Geredigion yn fy narllen i, gan ddilyn trywydd ieithoedd tramor, barddoniaeth a’m gyrrai ymlaen ar y daith, a ddaeth i fwcwl gydag astudiaeth fanwl o farddoniaeth Mallarmé, ac mae’r diolch, i ryw raddau, i’n traddodiad barddonol ni. Dyna pam rwyf mor falch o weld cyhoeddi’r gyfrol hon, sy’n ail-gyflwyno’r traddodiad arbennig hwn inni. Am drafodaeth bellach o rhai o’r themau a grybwyllir yma gweler fy nghyfrol Barddoniaeth i Bawb: Stéphane Mallarmé (1998). 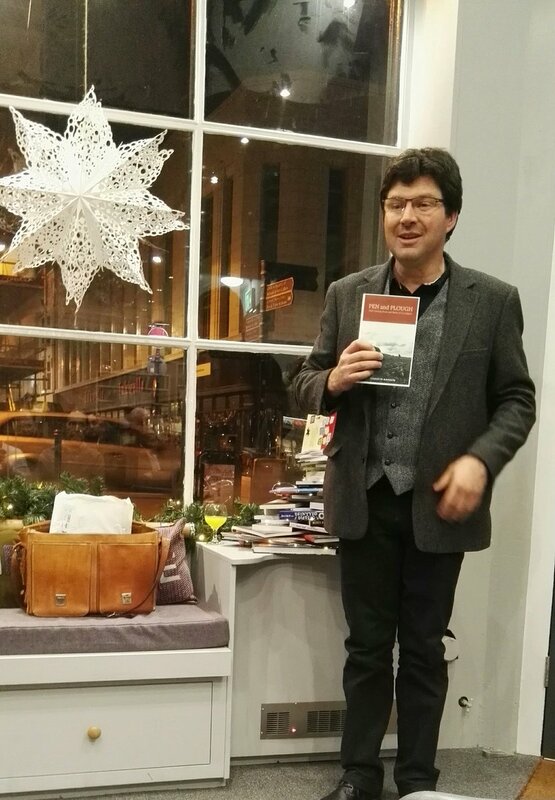 I was explaining how far away I had travelled, in my reading, from our tradition in Ceredigion, to a specialization in French poetry of the last decades of the nineteenth century. Somewhere at the root of my own journey through languages stands this unique body of poetry that Diarmuid here presents so compellingly to a new international audience. There are many reasons why the time is ripe to present this poetry to a wider audience: Ecocriticism, or reading literature for what it tells us about ecology, and about human relations with the land, could fruitfully examine the poems of these ‘graduates of the countryside’ (p. 49), as Diarmuid calls them. Another reason is the new emphasis in the study of literature on translinguistic, transnational research that rejects the model of ‘one state’ = ‘one language’ that has been dominant in Europe certainly since the French Revolution. The story of the provincial writer in modern times is to write to the capital, to write with an eye on approval by some mainstream culture. The rural poet who stays in the rural context and writes of it and for it is a rarity. But let’s not be content to mine this poetry for details of a recently vanished way of life, as a historian might do. It is not for its paraphraseable elements that we return again and again to poetry, but for the words. Words are chosen not for their meaning alone, but for their flavour, sound, music, connotations and collocations. However, paraphrase, that is used effectively in this book, is arguably the best point of entry for the uninitiated, as so much of the unique, sophisticated idiom, with complex metres and formal constraints, cynghanedd, used by these poets, is at risk of being lost in translation. What I enjoy most about this book is the way the discussion veers from the broad sweep of a comparative, European overview to the micro-level of these exquisite texts. Why must we in Wales always compare with our nearest neighbour who happens to be politically and economically very powerful in a global context, and thus not typical of most of Europe? A European view can normalize Wales. Nevertheless, Diarmuid is best placed to assert, as he does in this book, that this body of work from Ceredigion is unique, and I’m so glad that through this book, I quote: we ‘hear the voices of a culture hitherto unknown outside the Welsh-speaking world’. Saunders Lewis, ‘Syniadau a’r bardd: cerddi athronydd’, Baner ac Amserau Cymru, Chwefror 9, 1944, adolygiad o Ebyrth a cherddi eraill gan Hywel Lewis (Gwasg Aberystwyth, 1943). Ménard came to north Wales to walk and sketch in summer 1879, and is one of those travellers who records in great detail the place where they stay, telling us who looked after them, and what was on the menu, as well as regaling us with stories of noisy sheepdogs and wet beds. And so the letter that he wrote to his friends affords us a glimpse of life at a legendary inn in the late nineteenth century. Ménard arrives on 11th August by train via Ruabon, Rhyl, and Llandudno junction, but only feels that he is really in Wales once he gets near Betws y Coed, where he is surrounded by rocks. On the 12km journey to the Pen-y-Gwryd hotel he is by turns enchanted by the sounds of water and wind and shocked at the hordes of tourists. Swallow Falls is a frenzy of modern tourism: a fourmilière [literally an ant-hill] of tourists, both men and women, he specifies, clad in walking shoes. Finally hotel owners Mr and Mrs Owen and their daughter Anny welcome the travellers to Pen y Gwryd. Ménard remembers the hard-working Anny well from his previous visit in 1876, when he had nicknamed her ‘la bonne’ [servant]. Of course, communicating with the staff would have been tricky for him, as they only speak Welsh: ‘Là on ne parle que la langue celtique: il est rare que les paysans et la classe pauvre sachent un mot d’Anglais’ [Only the Celtic language is spoken there, and it is rare for peasants and the poorer classes to know any English]. On retiring for the night Ménard discovers that his bed is wet! Having then settled down to sleep in the dining room with the door open to the outside world affording him a view of the almost new moon, he is awoken by some sheepdogs at 1am! However, his disturbed night only enhances his appreciation of the landscape, day-break and the morning breeze, and sets him up for a morning’s solitary sketching. Later he climbs Snowdon with his travel companion, the Revd. E…., and as they had forgotten to eat, he tells us what he managed to buy from the huts at the summit: cheese, ginger beer, bread. They return to Pen y Gwryd where dinner is served at 7pm at just one table for up to twenty tourists of both sexes, he notes, all discussing their day over a menu of: soup, mutton, beef, sometimes duck, rarely chicken, puddings and tarts, cheese. The water and beer are excellent, he adds, which is a good job, because while wine is available, it costs a fortune: ‘il est à un prix fou’! His days are spent in the same way: walking, climbing and sketching, and he notes that he sticks two or three of his pictures in the hotel’s visitors’ book. One day the effect of the light is so special that he arrives back late for dinner and misses the soup. Lunch, fortunately, is whenever and whatever you choose. On his last day, as if to reflect his sadness at leaving, the weather turns, and the heavens open, as his train speeds back over the border, with these wonderful sketches and anecdotes safe in his bags. ‘Snowdon, Nord du Pays de Galles : Lettre narrative illustrèe d’un Touriste, 1879′ by J Menard, with pen and ink sketches. Cardiff MS 3.402. Mae’n siwr bod nifer ohonom yn cofio’r croeso unigryw a gafodd y Frenhines Elizabeth wrth iddi ymweld ag Aberystwyth union ugain mlynedd yn ôl, ym mis Mai 1996? Ond pwy sy’n cofio am deithiwr o deulu brenhinol arall a dreuliodd noson yma ar y 10fed o Orffennaf 1844? Diddorol cymharu achos Elizabeth gyda’r croeso a gafodd Friedrich August II, Brenin Sacsoni yn Aberystwyth, pan oedd ar daith drwy Gymru yn 1844. Wedi taith hir yr holl ffordd o Ferthyr Tudful, via Aberhonddu a Rhaeadr Gwy, arhosodd y Brenin ym Mhontarfynach i giniawa yn yr ‘Aberystwith Cottage’ (Hafod Arms). Mae’n siwr iddo ddyfaru mynd ar ei hynt i Aberystwyth y noson honno oherwydd pan gyrhaeddodd ei fawrhydi’r dref doedd yna ddim lle yn y llety! Yn wir bu’n rhaid i berchnogion y gwesty anfon eu gwestai i dŷ arall. Er bod hwnnw wedi ceisio cadw’i enw yn gyfrinach wrth deithio, roedd pobl y dre wedi dyfalu’r gwir amdano, ac wedi ymgasglu’n dyrfa i ganu ‘God Save the King’ y tu allan i’w ffenest, gan chwifio dwylo a baneri chymeradwyo’n frwd. Yn anffodus doedd dim amser i’r Brenin ymdrochi yn y môr y bore wedyn, oherwydd roedd yn awyddus i weld gogledd Cymru, yn enwedig yr Wyddfa a’r bont dros y Fenai. Mor drist oedd pobl Aberystwyth wrth ei weld yn ymadael am Fachynlleth, nes iddynt fynnu dilyn ei goets. Derbyniad parchus iawn felly! Ceir yr hanes mewn taithlyfr gan ei gydymaith Carl Gustav Carus, England und Schottland im Jahre 1844 Vol. 2 (Berlin: Verlag von Alexander Dunker, 1845). Ryw ddegawd yn ddiweddarach, yn ystod hydref 1855, pwy ddaeth i Aberystwyth ond y Tywysog Louis-Lucien Bonaparte (1813-1891), disgynydd i Napoléon Bonaparte (pedwerydd fab ei frawd). Ac yn union fel Brenin Sacsoni, ceisiodd deithio o dan ffugenw, a methu’n llwyr! Ond fe lwyddodd i greu jôc o’r sefyllfa serch hynny. Ar wibdaith i Bontarfynach un diwrnod, pan y’i hysbyswyd gan ei dywysydd bod cerbyd a oedd newydd gyrraedd o Aberystwyth yn cludo Tywysog Bonaparte, fe synnodd Louis-Lucien, gan ofyn ‘Ble mae e?’. ‘Mae wrthi’n cael diod’ meddai’r tywysydd, ‘ac yn y man byddaf yn cael y fraint o’i dywys drwy’r tirlun’. ‘Ac a gaf innau’r pleser o’i weld?’, gofynnodd Louis-Lucien. ‘Cewch’, meddair tywysydd, gan ychwanegu: ‘gobeithio na fyddwch yn fy nghadw i’n rhy hir oherwydd bydd ar y Tywysog fy angen i’. Mae’n debyg i Louis-Lucien ffugio dicter gan fynnu ei fod ef a’i ffrindiau yn bobl barchus hefyd, ac na ddylid eu brysio er lles unrhyw Dywysog yn y byd! Yn ystod ei arhosiad yn Aberystwyth manteisiodd Louis-Lucien ar y tywydd braf a mwynhau mynd am dro gyda’r nos. Ymwelodd hefyd â Chwm Cynfelyn i weld casgliad Mathew Davies Williams (brawd Parch Isaac Williams) o lyfrau prin, ac Eglwys Llanbadarn. Prynu llyfrau ac arsylwi ar dafodieithoedd Cymru oedd ei brif bwrpas yng Nghymru. Bu aelod o deulu brenhinol arall o Ffrainc yn y cyffuniau hefyd, ond prin iawn yw’r wybodaeth am daith Louis Antoine Philippe d’Orléans, duc de Montpensier (1775-1807) yng Nghymru. Mab i Louis Philippe a adnabyddid fel Philippe Égalité oedd Montpensier, a brawd i’r Louis-Philippe a ddaeth yn frenin Ffrainc yn 1830. Fe ddaeth o’i gartref yn Twickenham i arlunio yng Nghymru fwy nag unwaith ym mlynyddoedd cynnar y bedwaredd ganrif ar bymtheg, a cheir cofnod o’i daith drwy ogledd Cymru yn haf 1806 mewn cyfres o lythyron ganddo (ceir map o’i daith yma). Fe frasluniodd yn Hafod Uchtryd, Cwmystwyth, yn 1803, ac yn ôl catalog o’i waith mae’r llun yn dangos dau ymwelydd yn synnu at y rhaeadr a roddwyd yng nghefn ogof gan Thomas Johnes. Ond pan ymosodwyd ar y Palais-Royal ym Mharis yng ngwrthfyfel 1848, fe ddiflanodd y lluniau! Gweler The Cambrian Journal, 3 (1856), 1-13; Gwilym Arthur Jones, ‘Chwilen Gymreig Tywysog Ffrainc’, Y Casglwr, 7 (Mawrth 1979); Brinley F. Roberts, ‘Y Tywysog Louis-Lucien Bonaparte (1813-1891)’, Y Traethodydd 146 (1991), 146-61; Brinley F. Roberts, ‘”A Gentle and amiable Prince”: Louis-Lucien Bonaparte and Welsh Studies’, Transactions of the Honoruable Society of Cymmrodorion, new series, vol. 2 (1996), 79-99. Antoine Philippe d’Orléans, Correspondence to Mrs Forbes, Seaton House, Aberdeen. MS 2358 University of Aberdeen. J. Vatout, Notices Historiques sur les Tableaux de la Galerie de SAR Mgr le Duc d’Orléans (Paris: 1826), vol. iv, pp. 513-32. This French traveller’s visit in 1789 to the great Thomas Pennant, whose works he had pored over and in whose footsteps he had travelled to Wales, proves a terrible anti-climax, and much less satisfying than his meeting with a rather chattier schoolmaster in Abergele. Charles-Etienne Coquebert de Montbret (1755-1831) was a young diplomat who travelled through Wales with his Irish-speaking secretary and son, en route to a new job in Dublin in September 1789. In his ‘carnets de voyage’, that remained as unpublished and rather messy papers in the Rouen town library until their publication in 1995 as Voyage de Paris à Dublin (Lyon: Université Saint-Etienne, 1995), Coquebert constantly measures his observations of Wales against those of Thomas Pennant: ‘Pennant dit que….’ ‘Pennant indique…’, ‘Pennant croit que…’; and according to his editor he has used Pennant’s Voyage de Chester à Londres to establish his own travel route from London to Chester (in reverse), and sees Wales though his reading of Pennant: ‘lorsqu’il visite certains sites, il observe avec, interposée à son regard, la vision développée par Pennant’ (p. 22). His library contained plenty of Pennant: British Zoology (1769), The History of the Parishes of Whiteford and Holywell (1796), The History and Antiquity of London (1813), as well as the two books that his travel notes mention at White’s in Fleetstreet, London: Pennant’s tour to Wales [sic.] (1778) and Tour to Chester [sic.] (1783) (though he does not say whether he actually purchased them or just saw them). And he didn’t stop there; there were some 26 books relating to Wales in his library of 632 titles on Britain, including a Bible in Welsh ‘La Bible en gallois (Londres, 1769), two Welsh dictionnaries (namely Evans, Vocabulaire gallois et anglais, 1804, and Owen, Dictionnaire de la langue galloise expliquée en anglais, London), a number of travelogues and some poetry: The Heroic elegies and other pieces of Llywar[ch], translated by M. Owen (London, 1792). The content of his ‘carnet de voyage’ is quite a mixture. Coquebert was no Romantic traveller: rather he was a professional fact-finder who saw Wales through the eyes of an administrator. He would return to his notes to add detail at a later date, which suggests that they served as his personal data-base of information. For instance an anecdote about Pennant is supplemented a few years later by a paragraph of biographical information on him. The first reference to Pennant comes in Coquebert’s description of Holywell and its numerous mills. Here Pennant is quoted as an authority on how many tonnes of water are supplied per minute: 21 (p. 167), before the story of Saint Winifred is retold with a dose of French scorn at the people’s credulity. ‘la reception qu’il nous a faite a été à l’anglaise, c’est-à-dire passablement froide’ (p. 169)[The reception he gave us was in the English style, that is rather frosty]. Coquebert finds it hard to understand that somebody who was himself well travelled, and had occasion to appreciate a good reception, should show such a disinclination to welcome (‘fêter’) travellers who have bothered to make a detour of three miles in order to visit him. He has better luck with a schoolmaster in Abergele, whom he summons one evening and from whom he learns all about Welsh poetry, bards, harps, the Gwyneddigion society in London, and the Eisteddfod. Altogether more satisfying!